Warren Greatrex’s dual Grade One-winning novice-chase mare La Bague Au Roi will sidestep the Cheltenham Festival next month, and instead head straight to Aintree. Greatrex had indicated before and after La Bague Au Roi’s victory in the Flogas Novice Chase at the Dublin Racing Festival this month that he was already favouring Aintree over Cheltenham. The eight-year-old, who has won all four of her novice chases this season, held Grade One entries over two and a half miles and three miles and half a furlong at the Festival – and was prominent in the betting for both. 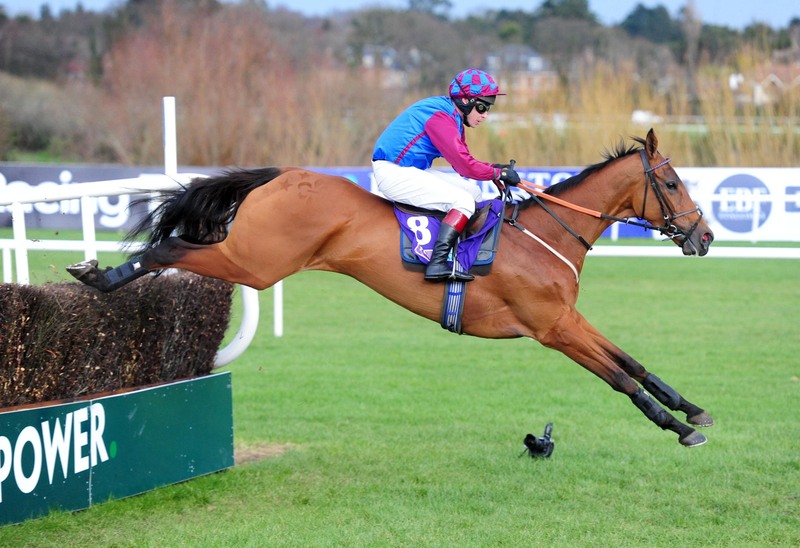 La Bague Au Roi has excelled on flat courses, in two Newbury victories, then Kempton’s Kauto Star Novices’ Chase and most recently at Leopardstown. Greatrex is therefore minded to stick by his initial impression that the undulations of Cheltenham may not necessarily play to her strengths – and he also believes Aintree in April works better for her after recent exertions than another big test in March first. He said: “We’ve thought that all the way along, and obviously went to Leopardstown and she won very well there. “She’s come back, with the travelling etcetera, she lost a bit of weight, we’ve just given her a week off – and I just think to get her back ready in four weeks is going to be up against it.